Michael Pattison | idFilm: NEWS: Brad Anderson to reunite with Christian Bale? NEWS: Brad Anderson to reunite with Christian Bale? Brad Anderson, the director of The Machinist, has hinted that he could be teaming up with that film's star Christian Bale for an adaptation of J.G. Ballad's novel Concrete Island. Speaking to WeGotThisCovered, the Session 9 director said, "I’ve got another project that Scott Kosar, the writer of The Machinist, is writing. It’s based on J.G. Ballard’s novel called Concrete Island. 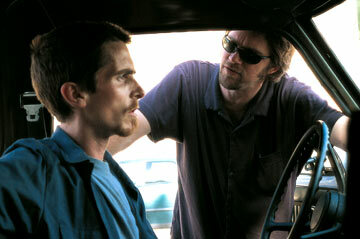 It’s an urban survival story that Christian Bale is attached to be in." Anderson's latest film, Vanishing on 7th Street, is a low-budget horror starring Hayden Christensen, John Leguizamo and Thandie Newton about a deadly power blackout that hits Detroit city.